Brett Johnson: Before we get into the business piece of this podcast, I think it’s nice to counter it with nonprofit. Tell me about your favorite nonprofit that you give talent/time/treasure to. Brett Johnson: Whose children have not been through there, though? Brett Johnson: I don’t know of anybody. Brett Johnson: What are the volunteer opportunities there that you take advantage, or you know of people that do? Jessica Kapcar: Sure, yeah. I think there’s a variety of opportunities to volunteer. It just kind of depends on what level. I think one of the things that my sister, and my parents, and my whole family has said … They’re like, “Oh, we just love to go down, and rock the babies, or help with that.” There are opportunities to do that, but there are also opportunities right in your neighborhood to take advantage of supporting the hospital. Jessica Kapcar: We have had experience – and I say we, when I was working there – of just kids saying, “Hey, instead of bringing me a gift for my birthday, I want you to buy a gift for a kid at the hospital,” or, “I want to take up a collection at school, and donate the money to the hospital.” Things like that, anything that’s really grassroots … Lemonade stands. You’d be surprised how far that goes. Jessica Kapcar: One of the things that I think is a really great resource for the hospital, as well, is the Ronald McDonald House. It’s right across the street. It’s one of the largest in the country. Brett Johnson: That’s what I thought. Jessica Kapcar: At one point, it was the largest, but then, I think I just heard that somebody built another one that’s a little bit bigger. Corporations, companies, individuals – you can volunteer there. I know that some companies have taken the time to help clean the Ronald McDonald House; supplied supplies for the Ronald McDonald House, food, anything like that. Brett Johnson: Exactly, yeah. Good, well, I’ll put some links in the podcast show notes. Let’s talk about your professional background, where you were before the BBB, and what you’re doing now with the BBB, as well. Jessica Kapcar: Sure, yeah, absolutely. As I mentioned, my first, as I call it, big-girl job out of college, I worked for Children’s Hospital in Columbus, and I worked for the Foundation, which is the fundraising arm of the hospital. I was kind of a go-between with the volunteers, and the community, and the hospital, so, I was able to just get out, and meet all sorts of fabulous people. Jessica Kapcar: Part of what I did was I worked on our team that was involved with the Children’s Miracle Network charities, and the companies across the state who were raising money. I got to go out to the Speedway locations, and say, “Thank you so much for collecting money, and selling the little balloons, and putting them on the windows,” that sort of thing. Jessica Kapcar: I was also able to experience a fundraising effort through Ohio State. They do a dance marathon called BuckeyeThon. I was the point person for the hospital to say to these students who were amazing, “Here are some patient families that would be willing to come to the event.” That just really was a great way to tie our mission in with what they were trying to do. Jessica Kapcar: I worked there for about three years, and almost nine years ago, started with the BBB of Central Ohio. My role, when I first started, is vastly different than what it is now, but really not so different at all [cross talk] I was originally brought in to fill a role that they hadn’t really solidified yet. They knew that they wanted someone to come on … At that time, our Vice President of Marketing and PR was doing everything by herself, so they knew that she needed a lot of help. I kind of came in to help fill that role with her. Jessica Kapcar: Then, they also wanted someone who could be a touchpoint for our accredited businesses; someone who they could call, and say, “I don’t know where my logo is. I’m looking for this. I want to put this on my website. Tell me about the benefits that go along with my accreditation.” I also filled that role. Brett Johnson: -and that leads into the podcast of why you’re even doing that. Exactly. Jessica Kapcar: Yes, yeah. I think, when I started, I don’t even … There may have been one podcast that I knew about, and it was something that was so far out of the realm of relating to what we were doing. Now, it’s almost a no-brainer. It seems natural for us to have a podcast, and to have gone down that avenue. If you’d asked us, two or three years ago, if that was gonna be the case, we would have laughed, and said no way. Jessica Kapcar: It seemed so far out of reach. Jessica Kapcar: Right, absolutely. Part of what I think is interesting for the BBB is taking our message, and our mission, and translating that across the board for businesses, and consumers. We really kind of are trying to figure out is it a space that we can occupy, and do it well, and be successful in giving the information that we feel is beneficial to the audience that we’re looking for? 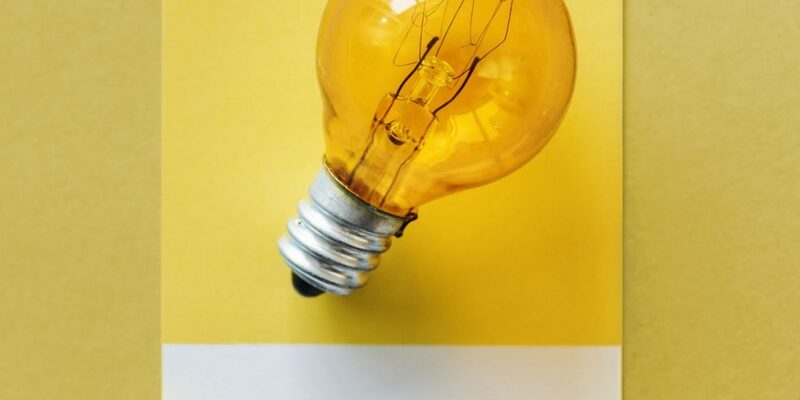 Jessica Kapcar: One of the things that really kind of helped solidify the fact that we thought we had a message, and a niche to get in, was the creation of our Spark Awards, which was really targeting our entrepreneurial businesses. Businesses that were kind of in the space of maybe they were on the newer end of the spectrum, hadn’t been in business for very long, but, just had a solid foundation, and were committed to those tenets of character, culture, and community. Those are the three criteria that we look at. Jessica Kapcar: We thought, “What a great resource for us to provide,” giving those entrepreneurs some of that … “Okay, well, here’s a company who’s been doing it for 15 years. Here’s how they did it when they started off. Here are some of the resources that they utilized. Here’s a nonprofit that doesn’t have a huge budget to work with, but, here’s what they’re doing, and you can actually make it a very successful thing.”. Jessica Kapcar: Whatever that topic, or subject might be, we just really thought that we could help connect businesses who have been doing it for a long time, and doing it well, to somebody who wants to do something, or wants to do it well, but doesn’t quite have the road map to get there yet. Brett Johnson: Who was all involved in that initial discussion? Jessica Kapcar: Like I said, when I first started it was just myself, and one other person, our VP of Marketing and PR. Over the course of the past four-ish years, we have added to our team. We added two people – our content communications coordinator, who really is kind of the role that was instrumental in helping push our podcast forward. Jessica Kapcar: Then, we also added our director of visual communications. She was the person who was able to say, “Okay, here’s the technology that we need … I have the ability to edit the audio, because I knew where I wanted it to go. I knew that we wanted it to happen, and be successful, but it’s all about pulling together the people, or the resources to actually be able to do it. Jessica Kapcar: I knew I did not have the talent to edit audio, so once she came on board, and then, like I said, the person who is in the role of our content coordinator, Jordan, she really kind of just took it to the next level. She was able to say, “Here’s a resource for where we can house it; here’s a resource …” You are a great resource to us. Brett Johnson: Were you discussing any success factors at the very beginning about measurement, marks, and time? Jessica Kapcar: Yes. I don’t know that we really kind of had a good handle on what measurements we wanted to talk about. I think we knew that we needed to have a solid base of content, and if that was there, that I feel like we … Again, we kind of had a road map that was a little less defined than some. Brett Johnson: But you had a road map. Jessica Kapcar: We did. We had a road map. Jessica Kapcar: We did have a plan, and it changed; it morphed, which I think has to happen with any plan for any project, or new endeavor. We kind of just said, “Let’s give it a six-month goal, and a year goal, and see … Let’s make it very realistic for ourselves, and see how we do.”. Jessica Kapcar: I think that because we were able to utilize some of the resources, and talents on our team, and we were able to do a little bit more of it internally, we didn’t have … We didn’t feel the pressure to set some of the loftier goals, maybe, for the ROI, right out of the gate. Maybe we had a little bit of an advantage to say, “Well, let’s … We can take our time; see how it goes; work through some of it.”. Jessica Kapcar: Like I said, we also knew that we had some great talent, and content that we were gonna be able to utilize. Our podcast is made up of external participants. We utilize our accredited businesses; we utilize our partners; we utilize our nonprofits. We know that they have the expertise, the knowledge, the content that is gonna be such a great resource for the people who are listening to it, that we weren’t at all concerned about that aspect of it, as well. Brett Johnson: That content piece, the interview style, is really what drew you into it, because of the opportunity to talk to so many businesses. Jessica Kapcar: Yeah, and we knew we wanted to make it very casual, conversational … We wanted to make sure that we made it friendly, and approachable. We knew that having somebody come in, and being able to have a conversation with them, utilizing their expertise, was gonna be just a great way to kind of get things started, and it’s worked well for us. Brett Johnson: How long do you think it took, from the very first discussion, whether it was around the water cooler, to the first publishing date? Jessica Kapcar: I’d say every bit of two years. Jessica Kapcar: Yeah. Once we figured out here’s where the responsibility of the podcast is gonna lie; here’s how … Got all of the logistics set up, and then we did … Again, because we could take our time with it, we did populate a little bit more of the content. We knew we could utilize our Spark Award companies. We knew we could utilize our Torch Award companies. Jessica Kapcar: We built out, I’d say, probably a solid six months of content, prior to that first podcast interview. Actually, the first one, technically, was with Kip Morse, who’s our president and CEO. That was just a way for us to kick it off, and have him introduce it. I’d say it was probably every bit of two years before we really were recording the podcast, itself. Brett Johnson: With an interview style, that has its ups and downs, especially the scheduling piece of it. Talk about your interviewing, scheduling, your strategy, and the process of how you go about doing that. Jessica Kapcar: Like I said, we had that content generally built out for the first six months, and what we did was we really just knew that we were gonna pick the Spark Award companies. There were three recipient companies that we had that we wanted to utilize right away. When they found out they were the Spark Award recipient, we said, “Oh, by the way, we’re gonna be contacting you for the podcast, so be ready. We need to get you in the door.” We kind of gave them a heads up, so that was a little bit easier to draw them back in on. Jessica Kapcar: We found that … The way we did it, in terms of the interview conversation, we picked a very specific topic, and one we felt that the company could speak very comfortably to. We scripted out some questions ahead of time, just to give them a road map of, “Hey, here’s where we’re thinking we wanna go. Here’s the topic that we think we wanna talk about. You’re the expert. You fill in the blank. If you think there’s another direction we should take, or more we should add in, please give us your feedback.”. Brett Johnson: How’s that been received, doing it …? Jessica Kapcar: You know what? We’ve had some really … Everybody has given us feedback that it was a very easy way to do it. Now, we, by no means, felt like we needed to stick with it, but we try to keep ours to about a 15-minute conversation time. It helped, in terms of making sure that we kept things narrowed down a little bit. Brett Johnson: Do you think that the podcast, itself, is helping you showcase the BBB’s expertise? Brett Johnson: You’re breaking new ground [cross talk] like that. Brett Johnson: Take complaints, right. Scams, and such, yeah, right. Jessica Kapcar: Absolutely. We do still do all of that, but we do a lot more, as well. That’s one of the things that my team has kind of been really focused on, especially in the past, I’d say, five or six years, just getting that message out that we’re not just a place to go for complaints. We’re a resource to utilize on the front end of things, for businesses, consumers, nonprofits..
Jessica Kapcar: As a consumer, we always say, “Check with us first, before you commit to doing business with any company, because you may find that there’s information that you didn’t have prior to looking at our website.” For businesses, we say, “We’re a resource for you to start with that foundation of trust. That really is what will translate to a consumer that you’re looking for, or a donor that you’re looking to solicit.”. Jessica Kapcar: We just actually found out that we are a number four, behind Facebook, Google, and Yelp, in terms of review sites. We do customer reviews, as well. It’s just kind of one of those things where we’re trying to get that message out there, and I think this has been a huge resource to do that. The podcast has been instrumental in that. Brett Johnson: How is the podcast and your blogs coexisting? Brett Johnson: Somebody to feed the machine. Jessica Kapcar: There’s been some great tie-in with the podcast, and blog. There’s been some crossover. We’ve been able to take content that we originally thought might be a podcast, and get a blog post from it. The flip has also been the case, as well. It’s just been kind of been … I think that anytime you can utilize content across all of your channels, it’s a great way to do that. Brett Johnson: It’s a time-saver, as well, too. Jessica Kapcar: It’s a time-saver, yeah, for sure [cross talk] especially when you have a smaller team that’s doing it all. Brett Johnson: Adding content to your website, have you seen any uptick in the site’s performance, in regards to search? Jessica Kapcar: We just actually went through a whole website redesign. Because we are one of about 110-ish BBBs across the United States, Canada, and Mexico, it’s been an overhaul of combining our website, but also building out our local content a little bit more. We really have seen some great results by embedding our podcasts into our website; pushing people straight there from our social media channels, from our blog. We added a little footer at the bottom of our blog posts about the podcast, and vice versa on the podcast. Brett Johnson: You become the standard, then. Brett Johnson: There you go. Brett Johnson: Everybody compares to you. Jessica Kapcar: “… maybe it’s better to not have to compare ourselves to anybody else, just yet …”. Brett Johnson: I think that makes sense. Brett Johnson: Sure, sure. Exactly. It’s the logical way to look at it, I think. Jessica Kapcar: I can honestly say that there’s never been … We’ve never said, “Well, maybe it’s not worth doing this, because the time given isn’t being …” We feel like it’s being rewarded, for sure. Brett Johnson: Right, right. Staying on that same topic of marketing, what was your publishing schedule strategy, and what is it right now? How do you begin those talks in regards to, “Well, how many do we put out per month, per week? Every day? Every hour?” I can be extremely stupid. Brett Johnson: What was that discussion like, and how did you firm up what you wanted to do? Jessica Kapcar: Originally, we took a look at the time that our team had to dedicate to it. We wanted to be very realistic, and say … We didn’t wanna say we’re gonna do one every other week, because then, we were like, “If we don’t do one every other week, are we gonna be disappointed in ourselves?” Our goal was to do at least one a month to start. We found that we could do one about every three weeks, which is what our standard has really been. We’ve been able to maintain that. We’ve been able to get the scheduling where it has worked. Jessica Kapcar: The benefit for ours is that we can back-schedule a lot of content, and we did that. We knew that summertime is gonna be hard for people to maneuver their schedules, with vacations, so we stockpiled a little bit in the spring, and had some content. Jessica Kapcar: The other thing that we really looked at was, because we’re utilizing some of our nonprofits, is the time of year. We wanted to be mindful of, in the holiday season, a lot of people are more interested in looking for local charities, and nonprofits that they can support. We wanted to be able to showcase, and highlight some of those in the time of year that was maybe a little bit more beneficial to them. We just hit a year for our podcast in August. This time last year, around Christmas time last year, we really tried to utilize some of our nonprofit, and charity content. Jessica Kapcar: The other part of it is really just who we can get in the door, when. We don’t want anything to get stale. We did utilize some of our Spark Award content right around when we were gonna be doing the Spark Awards, last year. It really just depends on the topic, and what’s relevant to your audience. For our audience, it’s pretty open, wo we have a little bit more flexibility in terms of that. Did that answer …? Brett Johnson: Oh, yeah. For sure, yeah. Tied into that, what is the social media strategy on when you publish, and what do you do to support that? Jessica Kapcar: Our social media strategy, we didn’t really … At first, we were like, “Oh, we’ll just blitz it out everywhere,” and then we pulled back a little bit, and we’re like, “Let’s just do …” We’ve taken more of a staggered approach. A lot of times, what we’ll do is we will … What we do first is when the podcast episode is ready, we send it to the person that we recorded with. We just say, “Hey, thank you so much. Here’s the podcast episode. It’s gonna be live this date. We’re gonna send it out through social media on this date. Please feel free to share it on your channels,” which we’ve always gotten good support from anybody who’s recorded a podcast. Jessica Kapcar: Some of it is we’ll push it through our channels, and then, some of it is we are a little bit more reactionary, and we’ll share it, share the post that the company, or organization has done, because we really wanna promote them, as well. It’s a partnership at that point in time. We wanna make sure that we’re saying, “Here’s some great information, but, oh, also, here’s the actual … Here’s how you can connect with this business, or organization.”. Brett Johnson: Well, and the conversion rate is questionable. Let’s put it that way, unless you have a very good tracking system. Jessica Kapcar: Yes, and an algorithm changes every day, so who knows. That has seemed to work really well for us, the staggered approach; not pushing it out all at once, because people go to different channels, and sites with different frequency. That’s been a really effective way for us to get that out there. Brett Johnson: You have some great artwork – thumbnail artwork, everything-. Brett Johnson: Who’s doing that for you? How did you start that whole process? Because I know, again, that’s another piece to this, going, “Yeah, okay, we have somebody that can record it. We know what we’re gonna do. Oh, we have to have artwork. We have to create this new … Or whether to incorporate our logo into it, or create something new …” Talk about that process, how you … It looks really good. Jessica Kapcar: Well, thank you. I cannot take any credit for that. That is all Courtney, who is our digital communications manager. She does all of the design work for us. Part of what we have to work through, as well, is that BBB, as a brand, has a national brand that we have to maintain, but we wanna make sure that we’re creating something new, and fresh, and clean, and fun to engage people. She has just done a great job taking our brand guidelines, and morphing those into something that is brand new, really. Jessica Kapcar: Thank you. Yeah, and she works really closely … She tries to tie it into the topic of the podcast, as well. She is the person who’s sitting there listening, and we always take some video clips, as well. She’s got a good idea of what the content is, so she does a really great job of translating that into the artwork for the specific episodes. She created the logo for us. She’s a great resource, and I don’t know that we’d be able to do it without her [cross talk] I do know that we probably wouldn’t be able to do it without her. Brett Johnson: It’s important, because the visual piece of it is pretty vital. When you want to direct listeners back to your dot.com, or your dot.org, it has to look nice. Jessica Kapcar: Absolutely, yeah, and it has to be … Especially for us, because BBB is such a brand with longevity, we wanted to make sure that it looked unique, but not so unique that people didn’t realize, “Oh, this is BBB.” It’s that fine line. It’s really helped in our marketing of it, I think, too, just having that clean, fresh look. Brett Johnson: Really, they all are kinda the same, it just comes down to what you choose to do. There are some nuances to some that are better than others. For example, one company may have a better embed player look than others, and that could be something vital for the website. You decided to go with Blubrry. What were some decision processes that you went with Blubrry? Jessica Kapcar: We went with Blubrry. They are actually a local company, and they’re an accredited business. Those were two of the really great touchpoints for us. Beyond that, we knew that the capabilities that they had for us … Again, because we were so new at it, we were, again, as you mentioned, deer in the headlights. We were like, “We don’t know what we’re doing. We don’t know what we need to do.”. Jessica Kapcar: They actually came in; they talked us through it; they explained the platform to us. I felt like they were also a great resource just in terms of like, “Okay, here are the four things that you need to have to get it up, and running,” just to get the lights turned on, and everything ready to go. Jessica Kapcar: From there, because it is an easy platform … Well, for me, at least, because I don’t do all of the technical aspects of it. We enjoyed it. We were able to create the way … Make it look the way we wanted to; create what we wanted to. We were able to embed it into our website. It was just a great choice for us. Anytime that we are looking for a partner, or a company to do business with, we hope that they’re an accredited business. Brett Johnson: That was one reason I did suggest them. I think, again, this is not a Blubrry commercial, but, at the same time, every company has its pros and cons. Brett Johnson: You have to make your own choice. For you, that made sense. Jessica Kapcar: It absolutely did, yeah. Brett Johnson: Obviously, it’s worked out very well. Jessica Kapcar: It has. I’m sure that there are great resources out there, at any capacity. We knew what our capacity was, and this was a great fit for us. It’s worked well. Jessica Kapcar: It was a building process-. Brett Johnson: -because one thing couldn’t happen, till another thing happened, till another thing happened. How do you do your recordings? Jessica Kapcar: We have someone on staff who just is able to capture all the audio. She edits it in-house. I think she uses Final Cut. It’s very straightforward. You don’t really need a lot of equipment, which is the great, I think, and easy part of the podcast. Like I said, we have to Lavalier mics. They plug into the camera. We do take video, just, again, for posterity’s sake, but you don’t have to. Jessica Kapcar: It’s a really straightforward process for us, and we’ve never had … Well, shouldn’t say never. One of the biggest issues that we’ve run into is if the memory card fills up, and that does happen. It’s got one of those things where we just take a pause, and refill, and go from there. Jessica Kapcar: Yes you have. Brett Johnson: -because it’s a much different feel. I was impressed, because I’ve always been: table, microphone, and something physically in front of you. Brett Johnson: Where, in your situation, you’re sitting on a couple of chairs; Lavalier on; nothing in front of you. Brett Johnson: It’s almost you’re at a restaurant feel to it, almost, or going to a coffee shop, that it’s … Really, you’re open. Jessica Kapcar: Yeah, we’ve got a little bistro table in there. Again, we wanted to make it very comfortable, casual, conversational. We’ve actually had one person walk out of the- almost walk out with the mic on. You kinda forget that it’s there. We’re like, “Oh, wait! Hold on! Hot mic. Don’t leave!” That was one of the goals that we had. Jessica Kapcar: It might not be the most elaborate setup, but it works for us, and we hope that it’s a comfortable situation for people to come into. I think sometimes it can be … Because we reach out to people, and say, “Hey, we want your talent; please come in,” there are some times that people are like, “Oh, no, I’m not good at that.” We’re like, “You’ll be fine. We’ll coach you through it. It’s gonna be Okay.” I think maybe, hopefully, that’s contributed to putting some people at ease that may not have been otherwise. Brett Johnson: With businesses deciding to go with podcasts … I think this can be true of any social media planning, blogging, whatever it is, there’s potentially of the transition. That one person leaving that was key to doing it. Brett Johnson: Now, you’re walking into that situation that-. Brett Johnson: That Jordan has been hosting the podcast, now, from the get-go; transitioning to you, which actually is an easy transition, because you’ve been a piece of the party all the time. What were those discussions like, to where to go with this, now that she said, “I’ve gotta go”? Jessica Kapcar: Right. Yeah, so, we’re in it. We are just on the tip of the iceberg in that. There’s always a little bit of transition in our team, especially when she’s got a new adventure going on. I just came back in after maternity leave. It’s kinda that, “Okay, let’s catch up with each other; where are we? What do I do?” That’s always a process. Jessica Kapcar: The really great thing about our team, and the thing that we knew going in was we’re going to have changes come about. That’s why we kind of laid out that plan ahead of time. We really made sure that we had a plan in place, in terms of what did we want the podcast to be? What do we want it to be about? What do we want the topic to be? We honed in on that, and then we built out that content part of it, as well. Here are the 10 people that we think might be potentials for interviews for this year. Here are the topics that may work for them. Here’s maybe some of the conversation starters that we have. Jessica Kapcar: We did that, because we knew, if, for some reason, someone left, or somebody was outta the office, or somebody had to pick up where somebody else left off, at least we have a little bit of a plan in place, and it documented-. Brett Johnson: Right, breathing room, as well, too. Jessica Kapcar: Right. Jordan did a great job with just taking things, and running with it. I have stepped into a very comfortable position, in terms of what it could have been like. Jessica Kapcar: I feel very confident that we’ll be okay, and because our team was so collaborative at the beginning, and we were all there to talk through those things, and instrumental in making the decisions about what platform are we gonna use, what’s our look gonna be like, the rest of the team is still kind of in the know. I just have to get my interview skills brushed up, and hopefully, we’ll be able to soldier on. Brett Johnson: Let’s talk about that. With a transition, it can actually be an opening for maybe tweaking some plans. Brett Johnson: Nothing negative about a previous host, it just comes down to a little fresh start. Maybe we can go in this direction; just tweaking. Let’s go into future plans for the podcast. What’s to be expected? Jessica Kapcar: Yeah, absolutely. Going forward, obviously, we still know that we wanna utilize the resources that our businesses, nonprofits, charities have. I think what we might try to take a look at is do we need to focus in a little bit more? Do we need to be more laser-focused? Do we need to open it up a little bit more? Do we need to take a look at the process that we’re using, in terms of here’s the content that we wanna talk about; let’s find someone to fill it in, or do we wanna say, “Here’s the person that we wanna have; let’s let them say, ‘This is what I need to be talking about with you guys right now'”? Jessica Kapcar: We’re pretty flexible, in terms of that. We’ve never really tried to pigeonhole ourselves, necessarily, but I do think there is something to be said for having a plan, and sticking with it. The plan is changing, so that’s gotta change-. Brett Johnson: Especially if it’s not broke. Jessica Kapcar: It’s working. I think that Jordan did an amazing job. Jessica Kapcar: However, now that I’m the one that’s gonna have to be doing the interviews, maybe there’s gonna be some benefit to bringing someone else in, and saying … For example, Kip. “You know this person, why don’t you … Here’s kind of what we’re thinking. Why don’t you do the interview with them? I think it would be just a great …” Because I think there’s something to having a person sit down with another person that they have a relationship with, and having that conversation. Things come out of that, that maybe wouldn’t have come out of that, if the person was just the interviewer. Jessica Kapcar: I don’t ever wanna limit ourselves to saying I’m the host of the podcast. Believe me, I am more than happy to share that. Just kinda taking a look at that, and saying, “Who on our staff, or on our team, may be a great resource to tap into, or who is a partner, or in our community, would be a great resource to maybe have a guest host for …?” Maybe you? You never know. Brett Johnson: Sure. You never know. Exactly, yes. Always up for conversation. You know I’ll always help in any way that I can, of course. Brett Johnson: Let’s end on this: advice for business owners who are considering podcasting as a marketing tool. What would you advise? Jessica Kapcar: I think the biggest thing that … I was having this conversation with Jordan, actually, before she left, because I was picking her brain about everything, but especially this. I said, “What do you think that you would tell people, in terms of starting a podcast?” She was like, “I don’t think I would just do it, to do it. I think I would decide what you wanna say, and stick with the message.”. Jessica Kapcar: Having a plan … Again, doesn’t mean you’re gonna follow it to the tee. It doesn’t mean it’s not gonna change every month that you do it, but having something planned – whether that’s your message, whether that’s your audience, whether it’s the people that you wanna have on it – and just sticking with that. Jessica Kapcar: That was one of the things that we both decided … That probably is why our podcast didn’t feel like a burden, and, I think, maybe has worked the way it has, because we said, “Okay, here’s what we know we wanna do. Here’s who we know we wanna reach. Here’s who we know we can utilize as experts.” Ours is a little bit different, because we’re not the people who are saying, “Here’s what you …” We’re not imparting, necessarily, our wisdom. We know what we know; we know what we’re good at, and we know what we don’t. We’re gonna pull in the people who do know what they’re good at. Our model’s a little bit different than maybe some people’s model might be. Jessica Kapcar: The other thing that I would say is don’t let not knowing how to do something, or maybe not having a very specific road map hold you back from getting your content out there, because you never know. You could do one podcast, and then a light bulb will go off, and a whole door will open up, and there you have it. If you have the drive, and you have the time, and you have outstanding resources in the community, like you, go for it. Jessica Kapcar: It took us two years to get it up and running, probably because we were a little gun shy, but now we know that we probably could have done it maybe a little sooner. Not to shy away from it just because it seems like it might be daunting, or you might not have exactly what- exactly the plan in place that you wanna have in place. You can always mold it. Brett Johnson: Oh, yeah, exactly. It’s the BBB Sparkcast. Let’s talk about everywhere they can find it. Jessica Kapcar: You can go to our website, BBB.org, and then you just have to look for the Central Ohio website. There’s a little hamburger menu up at the top. You can click right on it. You could also go to BBBSparkcast.com. It’s on all of our social media channels – Facebook, LinkedIn, Twitter, YouTube, Instagram. We have a presence on all of those. If you happen to follow our BBB blog, you can also find it there. Jessica Kapcar: You can always reach out to us, if you have a question about it, or wanna subscribe to it. It’s on all of the podcasting channels. You can get it through iTunes, Android … Anywhere you listen to a podcast, you can find it; just search for BBB Sparkcast. You can always reach out to us locally, at our office. We’re right here in central Ohio. We cover the 21 counties in central Ohio. That’s how you can find. Brett Johnson: That’s good. We’ll be looking forward to hearing what you’re going to do with the podcast moving forward. Again, Jordan has done a fantastic job in the previous episodes. Brett Johnson: -listening to them; listening to each, depending on your interest, the business is there, but you’ve covered a wide variety of businesses. It’s a really good way of getting a feel for the interview style, especially if you’re instead being interviewed by BBB Sparkcast. Brett Johnson: We encourage that. Exactly, exactly. Jessica Kapcar: Absolutely. They’re quick, about 15 minutes, so it doesn’t take a lot of time. Brett Johnson: Right. That’s good. Well, thanks for being a guest. I appreciate it, Jessica. Jessica Kapcar: Thank you so much. The above audio transcript of “BBB Sparkcast” was transcribed by the best audio transcription service called Sonix. If you have to convert audio to text in 2019, then you should try Sonix. Transcribing audio files is painful. Sonix makes it fast, easy, and affordable. I love using Sonix to transcribe my audio files. Thanks to Jessica Kapcar, BBB of Central Ohio Communications Director, and host of the BBB SparkCast, for being my guest on this episode of Note To Future Me. Recorded in Studio C at the 511 Studios, located in the Brewery District in downtown Columbus, OH! 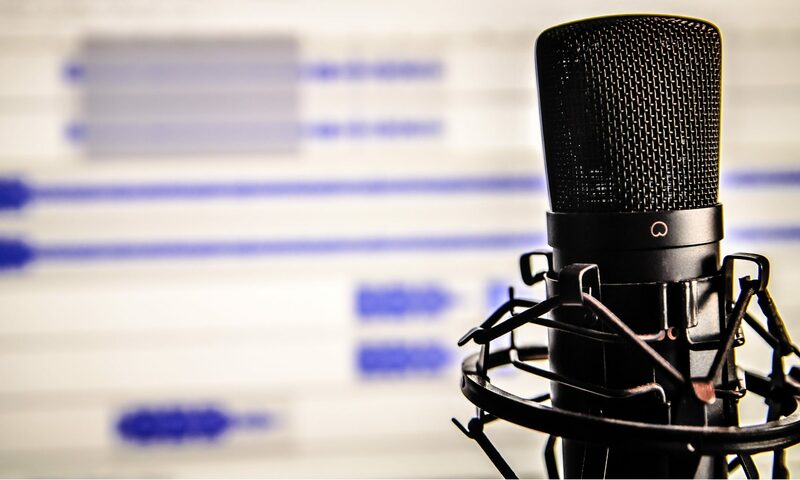 Why are you creating a podcast for your business? Whatever your reason(s) are, you should be constantly aware of what those reasons are, because they are keys to not only personal satisfaction but your business success. One important way to measure how your podcast is stacking up is measuring it against its mission statement. In other words, is your podcast doing what you want it to do for your business? You have a mission statement for your business. If you don’t have a mission statement for your podcast, let’s fix that. The whole process could take you anywhere from 15 minutes to two weeks. There is no perfect amount of time for the process, as long as you go through the process. Grab a notebook, journal, pen and paper, laptop, whatever you use to help you think and process information. This will work better for you to find a place that you won’t be disturbed or distracted. Think about where you are now with your podcast (Today) and where you want to be (Tomorrow). While Today is right now, Tomorrow is your vision. What action(s) do you need to take, or what do you need to change to get you from Today to Tomorrow? How can you make this vision for your podcast a reality? Do some brainstorming on this for up to 20 minutes. Now, take about another 20 minutes to make a list of the qualities you value, the things that mean the most to you personally. Start with 10 or so values. These could include things like family, wealth, kindness, loyalty, integrity, fun, hard work, etc. They don’t have to anything with the podcast. The time you put into this exploration of your values will serve as the guiding principles to help you accomplish your mission. Narrow down that list of values to three. Use the process of elimination to cross out “secondary values” until you have three core values remaining. Write about how those three core values will help you live out or reach your vision. It might help if you define what each of these values means to you. Make it actionable. Craft a statement. “I am” or “I will.” This will express your core values through your podcast to accomplish your vision. Take your time, and go through several drafts. When you’re done, you’ll have a mission statement for your podcast. Now that you went through all of that work, post your mission statement somewhere you can easily reference it. Set an appointment with yourself every six months to review your mission statement. It’s healthy and good practice to review. If no changes are made, or you tweak it here and there, the better your next six months will be. You and your business change over time as well. Your podcast needs to be right there with the changes.